Seems that you want to fix your crooked picture frames. 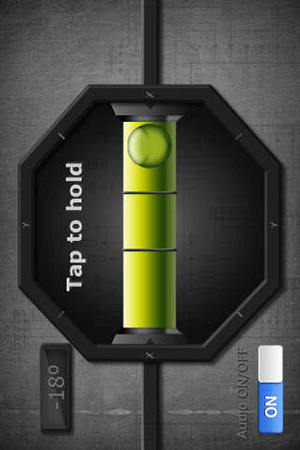 This application turns your device into an amazing Bubble Level. Can be used also as a clinometer/inclinometer. We are giving this app for free, enjoy! A spirit level or bubble level is an instrument designed to indicate whether a surface is level or plumb. Different types of spirit levels are used by carpenters, stone masons, bricklayers, other building trades workers, surveyors, millwrights and other metalworkers, and serious videographers.